Repels horn, stable, house and deer flies, mosquitoes and gnats. Combines citronella with other botanicals to form an exclusive blend of essential oils. 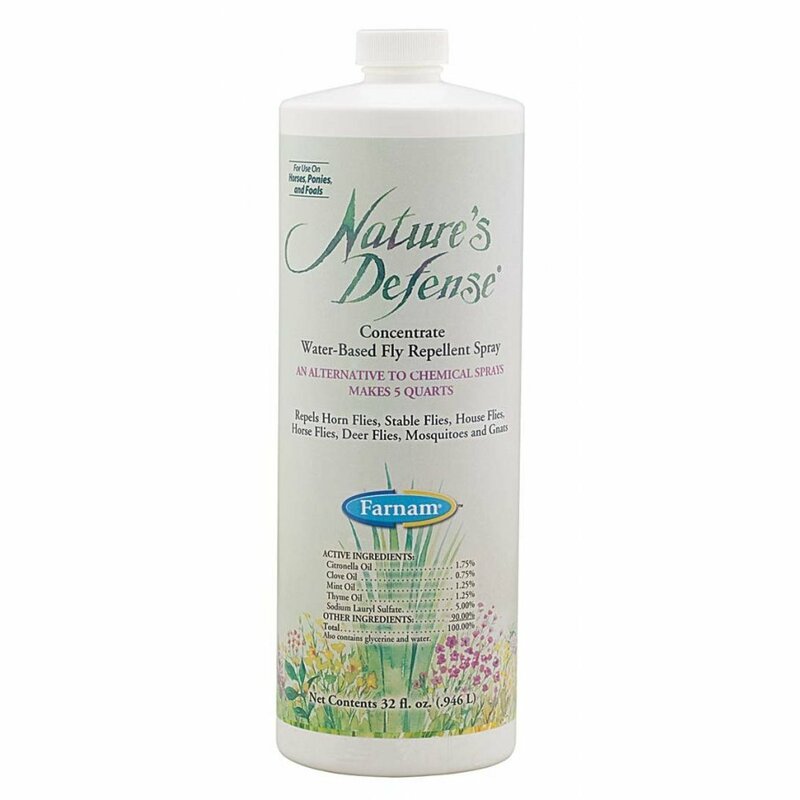 Available in ready-to-use formula with trigger sprayer or concentrate (dilutes 4:1). Natures Defense Horse Fly Repellent has different options and/or variations, please choose below. This product cannot ship to CO, NM due to state restrictions. Combines citronella with other botanicals to form an exclusive blend of essential oils. 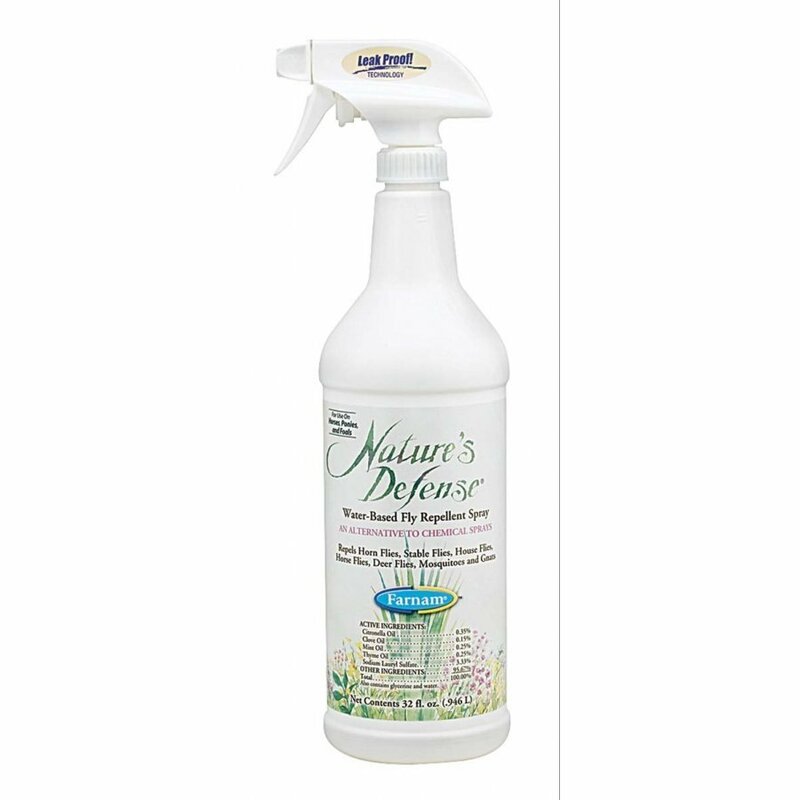 Water-based formula has a fresh, herbal scent. Repels horn, stable, house and deer flies, mosquitoes and gnats. Available in ready-to-use formula with trigger sprayer or concentrate (dilutes 4:1). Made in the usaCitronella Oil-0.35%//Clove Oil-0.15%//Mint Oil-0.25%//Thyme Oil-0.25%//Sodium Lauryl Sulfate-3.33%//Also Contains Glycerine And Water. Gentle Enough To Use Daily. Use On Horse, Ponies, And Foals. Made in the usaCitronella Oil-0.35%//Clove Oil-0.15%//Mint Oil- 0.25%//Thyme Oil-0.25%//Sodium Lauryl Sulfate-3.33%//Also Contains Glycerineand Water. Gentle Enough To Use Daily. Use On Horses, Ponies And Foals.